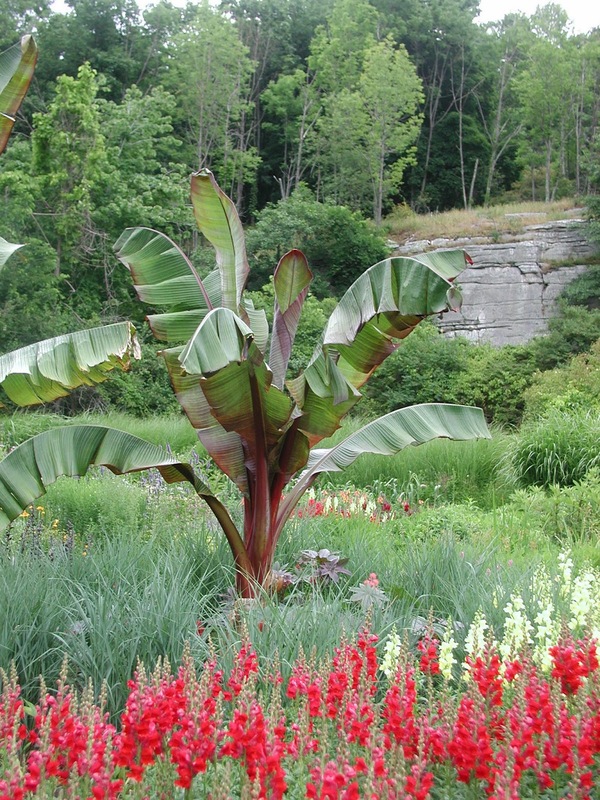 In the decades since my old banana’s passing, banana plants have become more popular as ornamentals. The plants grow rapidly, so a non-dwarf variety, once summer heat kicks in, will soar quickly to 10 feet or more to create the focal point of a tropical oasis. You’d need a big pot to fuel such growth. 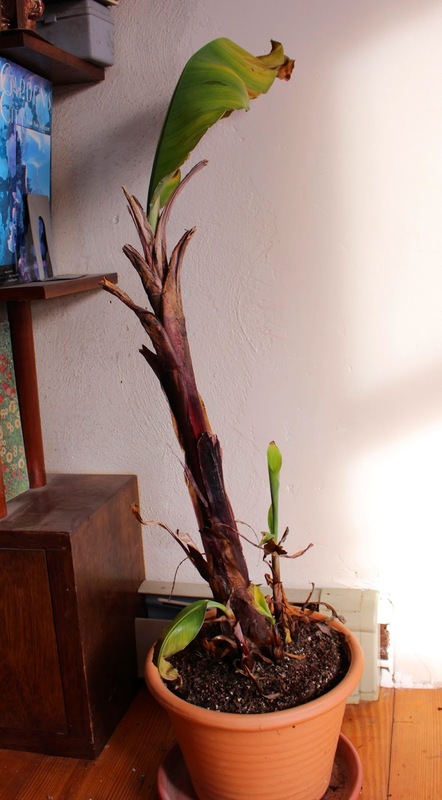 Or you could plant Mekong Giant Banana (Musa itinerans var. 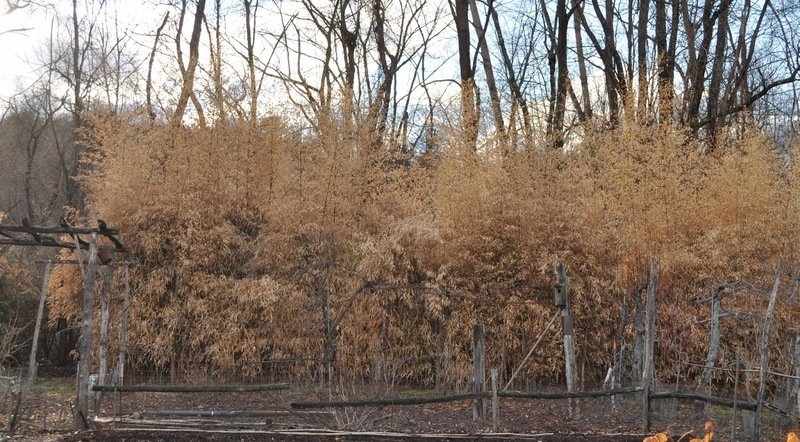 xishuangbannaensis) or Golden Lotus Flower (Musella lasiocarpa), both closely related to the edible banana but -- and here’s a big difference -- very winter cold-hardy (for bananas). 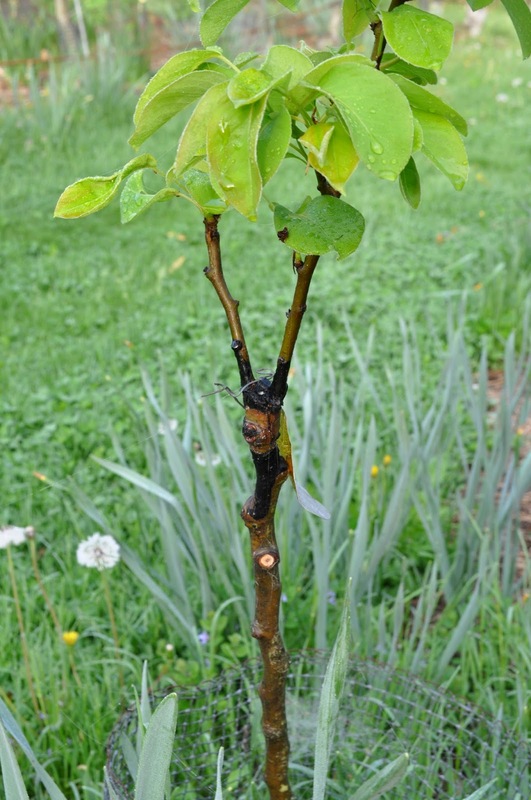 Either plant (available from www.onegreenworld.com and www.raintree.com) could remain outdoors, with mulch, through winters with temperatures well below zero degrees . The tops die back but the roots survive to resprout each year. Who wants to see a tropical oasis in the snow anyhow? to remain semi-comatose in the cold basement. But it started out in autumn near a sunny window in a cool room and never made it down the steps. It looks forlorn but ready to perk up after conditions change. And small, because it’s cramped into an undersized pot. I haven’t watered it for months! I don’t want it to grow -- yet. With decades of grafting fruit trees under my belt, I’d feel confident grafting tomatoes. There are a few differences, of course: tomatoes are grafted when small (with 2 to 4 leaves); they are succulent and in leaf so need to be kept in high humidity until the graft heals; and, best of all, you see results quickly, within a week or two. 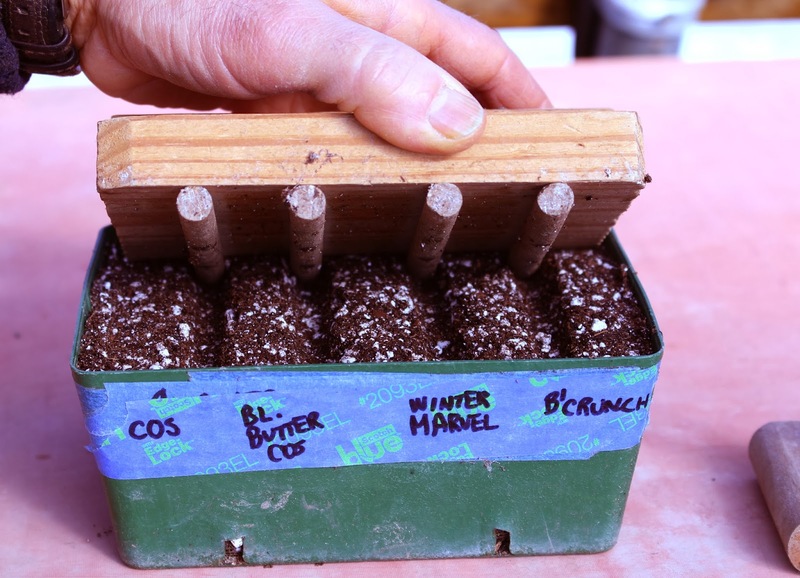 You start by sowing seed of the rootstock variety followed, a week later, by sowing the scion (eating) variety. 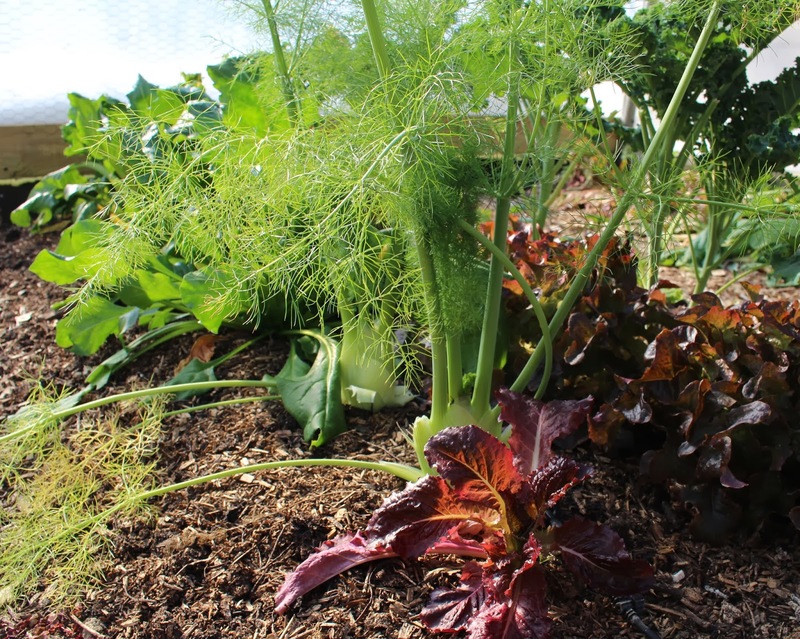 Once rootstock and scion plants are large enough to graft, you lay their stems side by side and make an angled cut into both at the same time with a straight-edge razor. Set the bottom cut of the scion atop the top cut of the rootstock and then hold the stems aligned with a tomato grafting clip or piece of tape. After a week or so of warmth, high humidity, and indirect light, the graft should be healed and the composite plant ready to acclimate to brighter light, cooler temperatures, and lower humidity and -- eventually -- outdoor growing conditions. Do I want to grow grafted tomatoes? 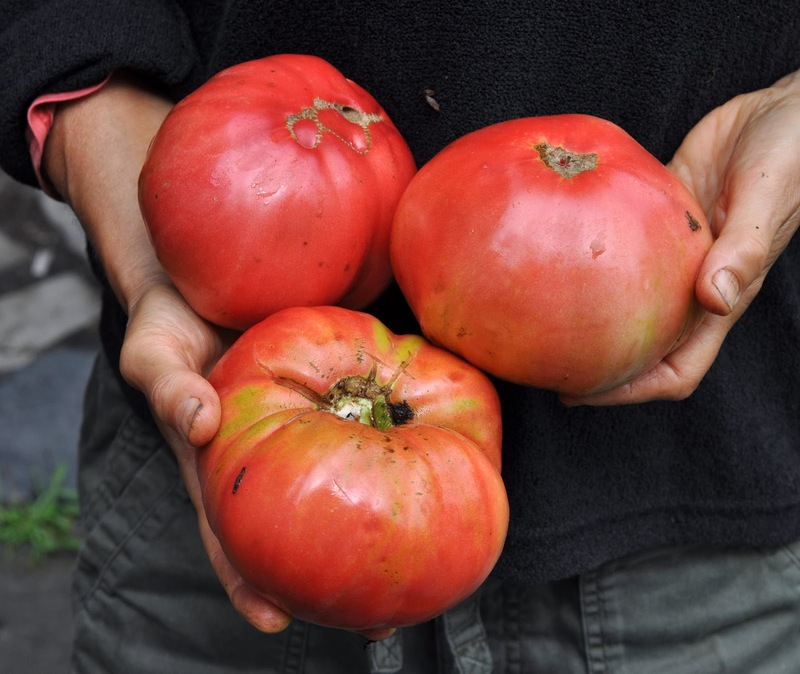 Yes, I’d give the plants a try -- if grafted plants of an heirloom variety landed in my lap. Which is to say that I’m not ready to spend much money or effort on grafted tomatoes. Increased vigor might help a plant pump out extra fruits in spite of disease -- or not. I’m not going to any special efforts to plant grafted tomatoes. 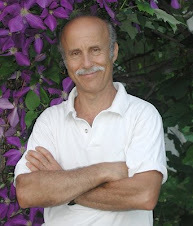 I'll be lecturing at the NOFA-CT winter conference on March 1st in Danbury, CT. The topics? 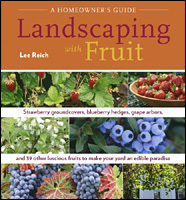 "Growing Figs in Cold Climates" and "Multi-Dimensional Vegetable Gardening/ Farming." The day began with my lugging the big pail of potting soil from the cold garage to a warm spot near the woodstove. My home-made potting soil -- equal parts peat, compost, garden soil, and perlite, with some soybean meal thrown in -- is moist when I make it, so was frozen solid. Not usable or suitable for germinating seeds. 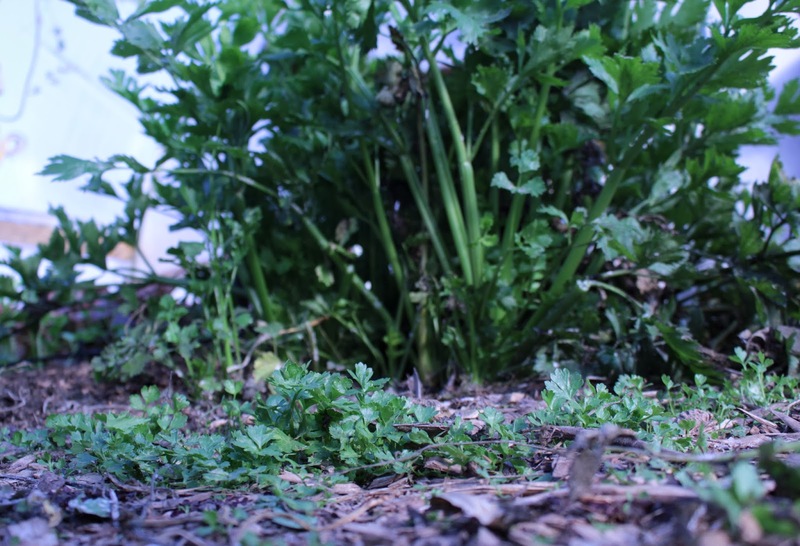 Self-sown greenery includes claytonia (miner’s lettuce), minutina, and -- more familiar to most people -- celery. 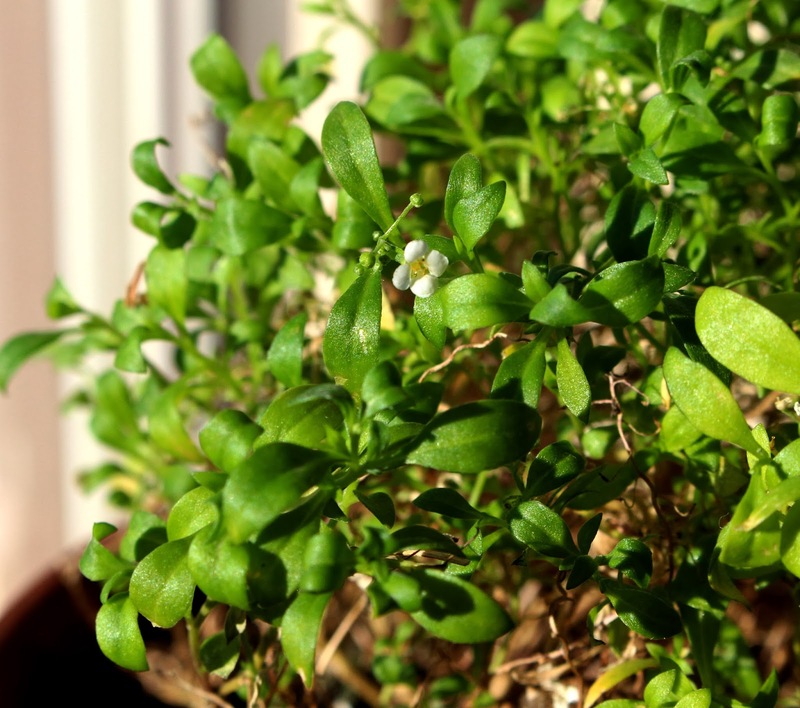 Claytonia doesn’t have much flavor but adds texture and color to a winter salad. The same goes for minutina, which is actually an edible species of plantain (the common lawn weed, not the banana relative). Celery plants are in various stages of growth. We’ve been eating the mature ones for months and the smallest seedlings will be ready for transplanting out into the garden in early May. Thank you to everyone who offered to send me seeds of 'Gardener's Delight' tomato from Britain. I have some seeds, and will of course, post the results of my little experiment -- in August. Alyssum’s problem may be that it’s too easy to grow. Sprinkle some alyssum seeds on the ground or plug in some transplants, water, and forget about them. Soon you have a mound of tiny, white flowers. That also might be alyssum’s problem. No traffic-stopping colors or humungous or odd-shaped blossoms. But why think about alyssum (Lobularia maritima) this time of year? Because my alyssum just opened the first of its tiny blossoms. Let’s backtrack, to last spring. Alyssum is a cold hardy annual or short-lived perennial. Winters here are too cold for it to survive outdoors but rather than be sacrificed to winter’s fury, the potted plant found a new home indoors near a sunny window. The plant, native to beaches and fields of the Mediterranean, the Canary Islands, the Azores, and France’s Atlantic coast, tolerates heat, drought, and some shade. Perhaps my indoor plant could be coaxed to flower through winter. Annual plants expend a lot of energy flowering nonstop through summer. They need periodic rests. My alyssum was pretty much spent by the time I brought it indoors. I should have sheared it back in late August, which would have stimulated and allowed some time for new growth while the growing was good. Because I neglected to do this, not having planned on bringing the plant indoors, it just sat in a state of suspended animation through late fall and early winter. “Desperate times call for desperate measures.” Okay, the times weren’t particularly desperate, just short days and cool, indoor temperatures. And the measures weren’t that desperate. I sheared back the alyssum about a month ago. And now came the first of many white blossoms. Unless the plant decides to show its annual-ness and just peter out. Clay. Plants. Soil. Pots. Depending on perspective, some of these associations are positive; some negative. Clay, soil. 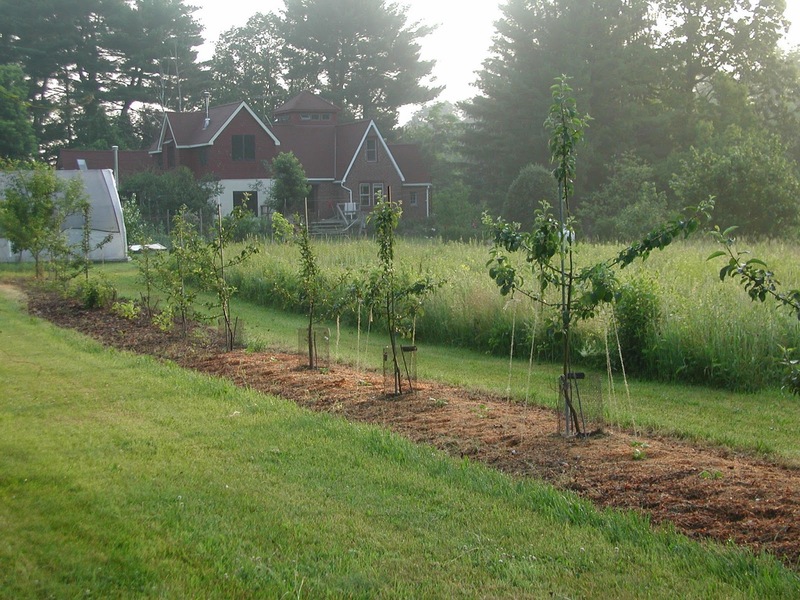 Although many gardeners bemoan having such soils, most clay soils are fertile. Clay, plants. The organic spray called ‘Surround’ is nothing more than kaolin clay, which turns out to be a very effective at convincing pestiferous insects to go elsewhere. Clay, pots. Nice. Sculpted and then fired in a kiln turns even the stickiest, most infertile clay into an object of utility and beauty. Lucky for me, my wife Deb is a potter (http://www.goldmanceramics.com), so I occasionally reap marital rewards in the form of pots for plants. More recently, ceramic marital rewards went further, with the fabrication of an idea I had for an automatic pot watering device, which I’m calling a capillitron. Picture an upside down soda bottle with its bottom end (now up) closed with a removable lid and its top end (now down) tapering to a narrow cone closed off at its end. The whole thing is glazed except for the bottom few inches of tapered cone. reservoir is filled with water, then covered with the lid to prevent evaporation. 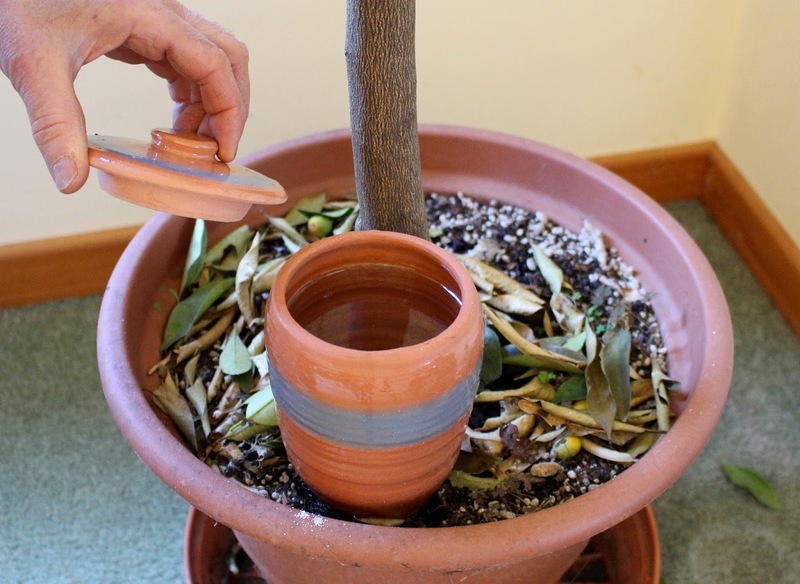 As the potting soil dries, it draws moisture through the capillary channels of the unglazed, tapered portion of the capillatron, the water in which is continually replaced with the water within the reservoir. The reservoir portion, up out of the soil, is glazed to cut short any capillary migration of water from there to the outside of the pot where it would evaporate. 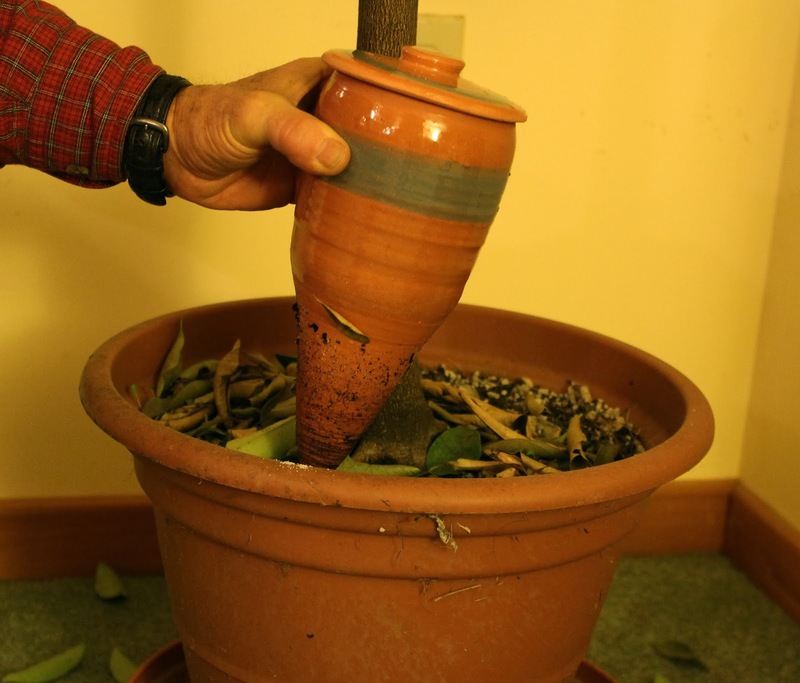 Within the flower pot, any portion of potting soil that dries will draw moisture from elsewhere in the pot, eventually leading back to right around the capillatron. Theoretically, then, the entire volume of potting soil remains consistently moist as long as the capillatron reservoir holds water. 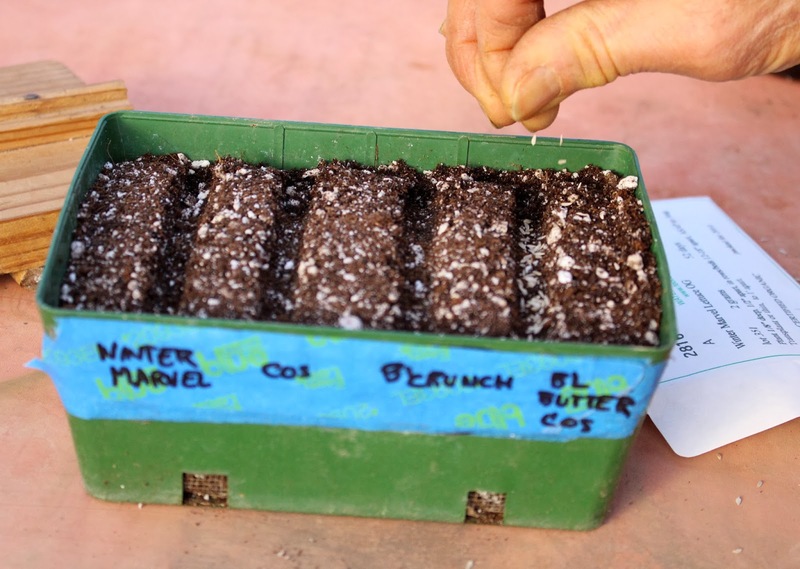 The capillarity within the potting soil, which moves moisture up, down, or sideways, as needed, comes from the organic matter in the mix (compost plus peat moss or coir in mine) and -- you guessed it -- clay in the garden soil that I add to the potting mix.